Octopus Alchemy uses traditional food knowledge and preparation as a platform to empower people around health and to raise consciousness on the failures of the global food economy and the unnecessary suffering perpetuated by the current socio-economic system in general. 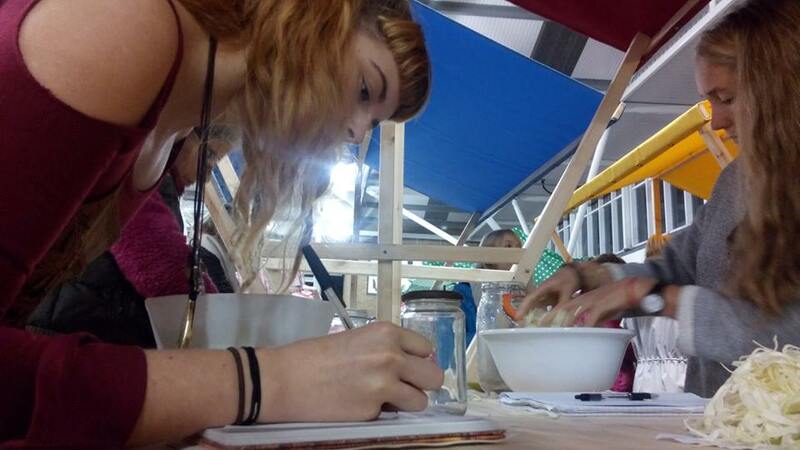 In our interactive workshops, we place equal emphasis on the politics as well as pragmatics of traditional processes, such as fermentation – we believe that popular reconnection with such methods is a radical act that has effects beyond our individual kitchens; into wider cultural, political and environmental realms. Our intentions are to empower workshop participants in creating living, healing foods that nourish the gut and that help initiate an interest in practices that foster more resilient health and better cognition. Our politics are to encourage an awareness of the consequences of the profit motive in our food economy for the well being of our animals, health of our communities and the integrity of our ecology. And also to highlight how the dominance of western medicine and reductive conceptualisations of the body and disease processes cause and perpetuate real harm in society. Sauerkraut making @ The FoodShed, Brighton. Our philosophy overall is to emphasise the ‘gut as centre’ in our lives – in that, acting in ways to properly nourish the gut necessitates a revival of nourishing traditions and practices that are both individually sustaining and ecologically sustainable. 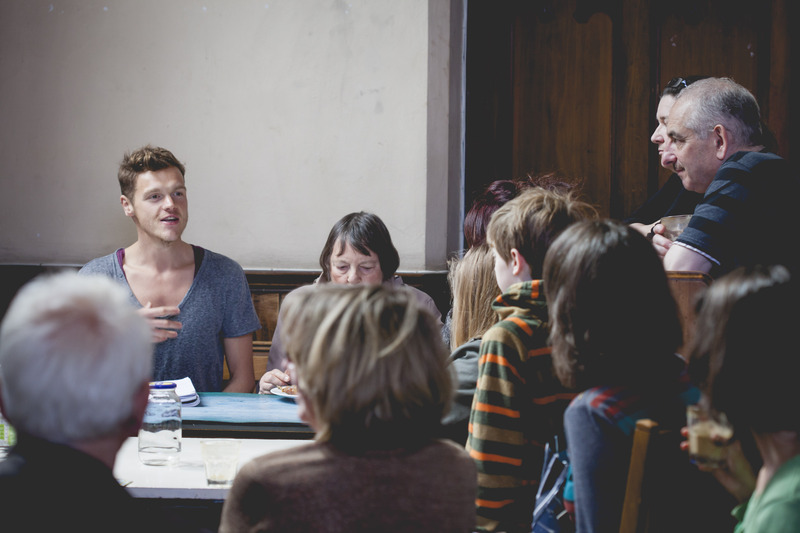 We offer a range of styles and approaches to workshop delivery and presentations and welcome offers, discussion and invites of collaboration across academia, community projects, artists, the media, food establishments and so on. Octopus Alchemy are running fermentation workshops at Silo in Brighton on the following dates (click for further details and booking). To keep up to date on our calender of workshops, please visit our facebook page. Otherwise, feel free to email us at octopusalchemy@gmail.com to be added to our mailing list. What people have said about Octopus Alchemy workshops. 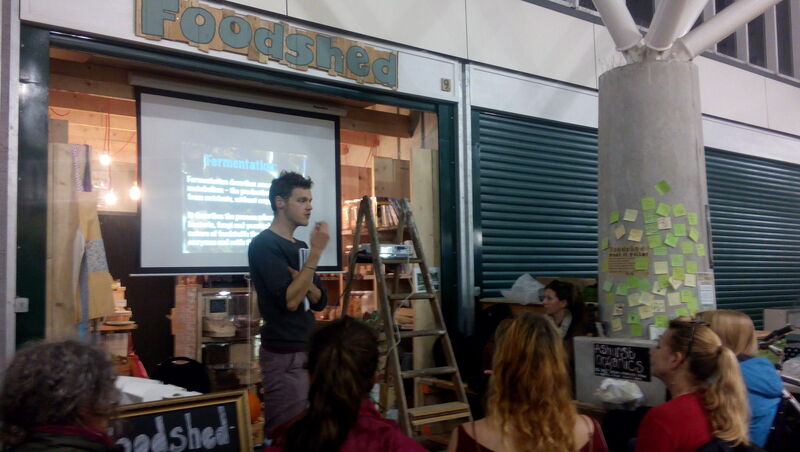 Fermentation and food-politics at the ‘Foodshed’ in Brighton. 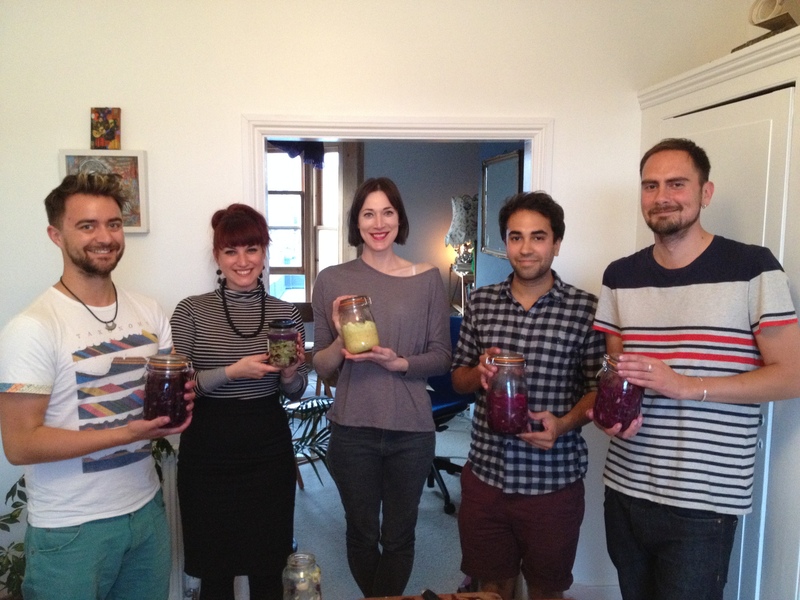 I loved Darren’s workshop—he gave loads of practical advice on how to start incorporating fermented food regularly into your diet, and lots of tips for future recipes (I’ve since had a successful experiment with kimchi!). Darren’s also an encyclopaedia of nutritional advice, so I have a much better grasp of why fermented food is such an important part of a healthy diet. Very empowering—strongly recommend! Darren’s workshop really exceeded my expectations. 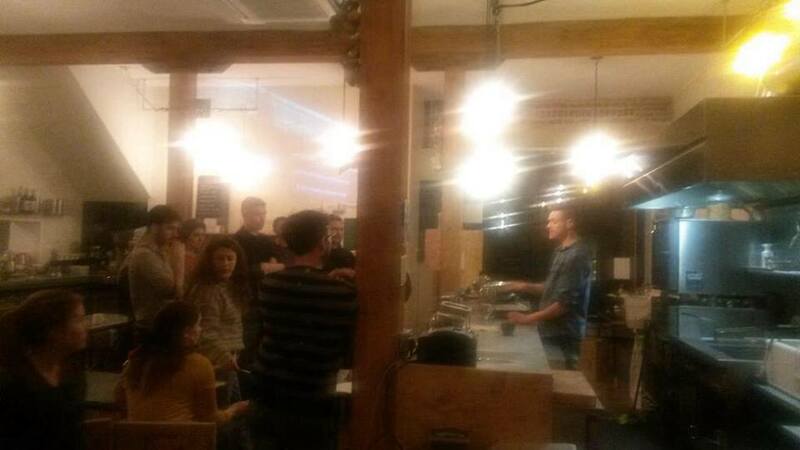 He really blew me away with his knowledge and passion about food, health, and fermentation. I felt like not only did I get to leave with my own homemade sauerkraut, but that I had a new perspective on some food processes and their pros and cons as well. Would defo recommend his workshops as it was such a fun alternative experience with such a lovely company.